Rome is a big city with a 3000-year history, and, as you've probably already heard, it wasn't built in a day. With numerous layers of history, from the so-called archaic period during the reign of Rome's kings, to the Republican era, the Empire, the high and low Middle Ages, the Renaissance, the Baroque period, and beyond, Rome is a daunting city, particularly for first-time visitors. And since there are so many important sights, practically everywhere you look, it can be easy to miss things that are right under your nose. I have spent over a decade reading every book on Rome I could get my hands on, taking courses on Rome's art, history and archeology, visiting and studying in nearly all of the city's dozens of museums (and a good number of its 900+ churches), and sharing my passion and knowledge with visitors on literally thousands of tours of the city. I am a licensed tour leader in Italy (accompagnatore turistico), and I have been leading art-historical tours of Rome since 2006. As a travel writer and blogger, nothing is more rewarding than hearing from a reader that they visited the place I wrote about, and adored it – or that they got so much more out of a site after reading my article. When I get to lead my readers personally on tours of these same sites, this process of sharing comes full circle, and it makes for some of the most satisfying tour experiences for both my clients and myself. Is it your first time in Rome and you want to be sure not to miss any of the most important sights? On this walking tour, I take you to the "unmissable" spots in the historic center that represent true icons of the Eternal City. We take in the Spanish Steps, one of cinema's most spectacular backdrops; the Pantheon, the best preserved ancient site in the world; Piazza Navona, quite possibly the most beautiful square in Europe; and the Trevi Fountain, where a toss of a coin will guarantee you a return trip, so legend goes. But we will also explore some of the more off-the-beaten-track gems that many tourists miss, such as the Turtle Fountain, the Temple of Hadrian, Campo de’ Fiori, and some amazing works of art hidden in churches. This tour will fully acquaint you with the city and give you a thorough understanding of the artistic and historic background of the sights we see. Rome's exquisite marvels become even more fascinating once you know the history behind them. The so-called Jewish Ghetto is full of hidden wonders, like the adorable Turtle Fountain and the 2000-year-old Portico of Octavia. But this captivating neighborhood also tells the story of the pope-ordered confinement of the Roman Jews from the 16th to the 19th centuries. Crossing Ponte Fabricio, Rome's oldest working bridge, and the Tiber Island, we come to the neighborhood of Trastevere. This one-time working-class district has the feel of a small Italian village, and its narrow, cobbled streets are full of treasures, such as the medieval mosaics and frescoes in Santa Maria in Trastevere and Santa Cecilia, Bernini's moving sculpture, The Blessed Ludovica Albertoni, and Raphael's frescoes in Villa Farnesina. But part of the joy of exploring these neighborhoods is taking part in the Italian tradition of the passeggiata, or evening stroll, soaking up the local color, and getting some insider tips on the most authentic restaurants in the area. It was in Rome that Caravaggio spent the bulk of his productive years, and more of his works are here than in any other city. It's the only place on earth where you can see six of his paintings in churches, absolutely free! On this tour, not only do I take you to all three of these churches, where I'll explain Caravaggio's revolutionary techniques and unprecedented style (which often got his work rejected by the religious men who had commissioned it), but we will also follow this tortured artist around his city, from the art shop where his earliest unsigned works were sold, to the street where his muse and lover Lena Agnoletti lived; from his own studio where he was evicted for making a hole in the ceiling, to the alley where a tennis match turned deadly, turned him into a fugitive on the run. No other artist led such a mysterious and fascinating life and no other artist created such honest and moving paintings. Maybe you've been to Rome once or twice before and you've already seen all the major sights. Or maybe your favorite part of traveling is getting off the well-trod tourist track and seeing a city's hidden treasures, those that most tourists never see. Then this is the ideal tour for you. 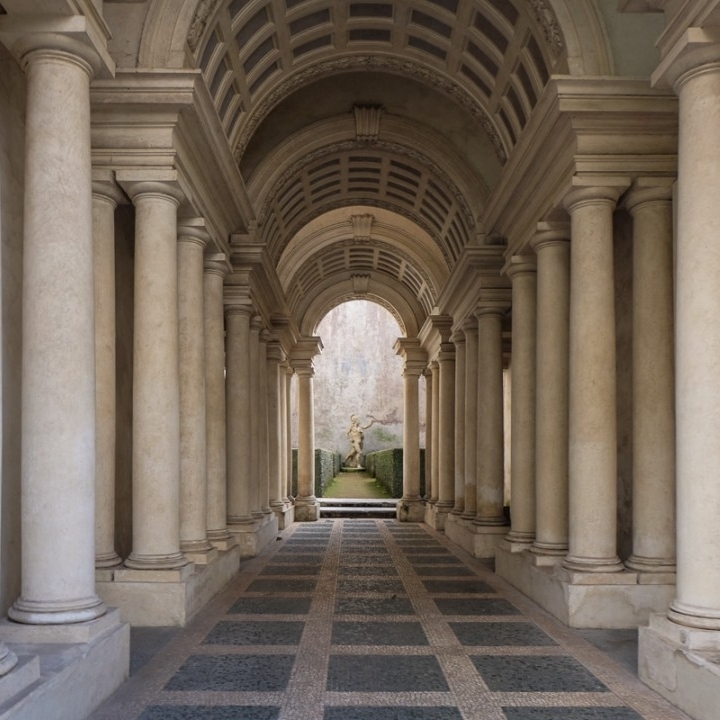 On this walking tour, you'll be baffled by the optical illusion of Borromini's Prospective and enchanted by some of the most important medieval frescoes in the city. You'll explore three layers of history at the most fascinating church in Rome, San Clemente, see a Michelangelo statue hidden in a church, view some of the oldest temples in the city, and much more. This tour can also be customized to where your interests lie: Do you love Baroque architecture? Ancient ruins? Early Christian churches? Renaissance frescoes? Medieval mosaics? Rome has all this and more and I can design the tour around your interests. Not sure what you want to see? Then leave it to me and I will show you the best of the best of "Secret Rome." This fascinating and under-visited museum contains some of the most important works of ancient bronze and marble statuary in the world, glorious frescoes that tell the history of Rome, a picture gallery with works by Caravaggio, Titian, Tintoretto, Carracci, Reni, Da Cortona, Guercino, and more, the ruins of the most ancient and important Roman sacred site, the Temple of Jupiter Optimus Maximus, and a panoramic view over the Roman Forum. 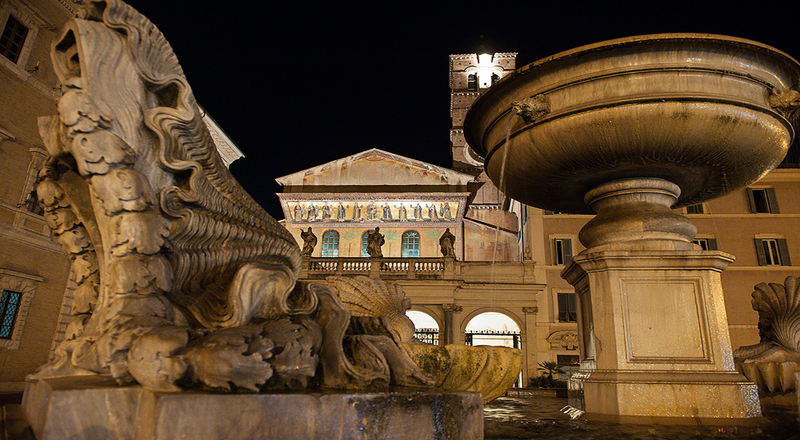 The museum is situated on the Capitoline Hill, a spot that was the very center of religious life in ancient times. It is also the oldest public museum in the world, opened in 1471 by Pope Sixtus IV. While visiting the Vatican Museums is essential to get to know the history of the church and the Vatican, a visit to the Capitoline Museums is every bit as necessary for those who wish to gain a thorough understanding of Rome, from its ancient origins through the Renaissance and beyond. If you're on a budget, you can download my 40-minute virtual tour of Trastevere that is offered through VoiceMap, an interactive storytelling app that uses GPS to keep you on track. My voice guides you where to turn and which streets to walk down, so you can put your phone in your pocket and soak up the sights with your full attention. Trastevere is a neighborhood apart (it literally means “beyond the Tiber”), home to artisans, expats, students, artists, and working-class families. It's a maze of narrow cobbled streets, untouched medieval churches, and buildings that look like they haven’t changed in a thousand years. When you wander down Trastevere’s crooked streets, it’s easy to imagine you’ve stepped back in time. Come along as I share my favorite corners of this quaint yet vibrant neighborhood, from famous works of art to glorious piazzas to hidden treasures tucked away down backstreets. In order to devote my full attention to my clients, and offer them the most enjoyable and personalized experience possible, all of my tours are private and customizable. If there's a particular site you want to visit and it's not in the tour description, let me know and if I can I will include it. You may have noticed that I do not offer the two most common tours that people take when they come to Rome: the Vatican and the Colosseum. I used to give these tours regularly when I was a full-time tour guide. Now that I spend the majority of my working day writing, I have chosen to lead tours only of sites for which I have a particular passion (and – I must admit – places that are a bit less crowded!). If you would like me to recommend a tour guide for the Vatican, the Colosseum, or any other site I do not offer, I am more than happy to do so.